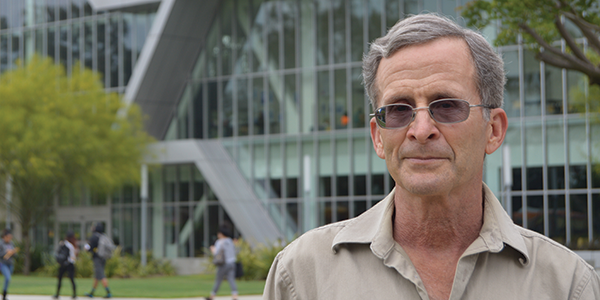 When Philip Johnson retired in his 50s from a successful career in the aerospace industry, he began attending California State University, Dominguez Hills in pursuit of a second bachelor's degree in physics. He was known for being exceptionally dedicated to both learning everything he could and sharing his own considerable knowledge with his fellow students. He completed his degree in 1980. Philip Johnson's love for Dominguez Hills would become an inspiration to his family. "That's the reason the giving started," said Bruce Johnson, Philip's son. "When Dad died, my mom, Yvonne Johnson, gave the university a financial donation to honor his memory." Her gift established the Philip Johnson Endowed Scholarship in Physics, created with a Charitable Gift Annuity. Bruce has added a $225,000 gift annuity to the scholarship. "The gift annuity program worked out really well for my mom. She was in her mid-80s when it began and she received a high interest rate on her investment," said Phil. "It was good for Dominguez Hills and good for my mom, and an eternal tribute to my father." Bruce inherited his mother's house when she passed in 2010. He knew that an endowment similar to the one she established for Phil would be a meaningful way to honor her and a Charitable Gift Annuity would be a smart move for his own future. Bruce sold the house and established a $200,000 gift annuity at CSU Dominguez Hills to create a music scholarship to honor the role that music played in three generations of his family. His great grandparents, grandmother, and mother, Yvonne, all taught piano and continued to strengthen her own talent by taking piano lessons up until her death. "For me, the gift annuity payout rate was much better than putting the sale proceeds in a CD. The gift annuity allowed me to simplify my life and forget the stress of watching the market go up and down." "I could not have asked for better parents," he added. "I feel like I won the lottery twice with both my mom and dad. They were both examples of how to do things right." Endowing scholarships at CSUDH gives people a chance. I like to reward people who have talent and are in financial need. Others have done that for me, and it makes a difference."